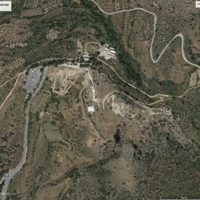 A Greek city, now in ruins undergoing continual excavation, dating to the Late Bronze Age. 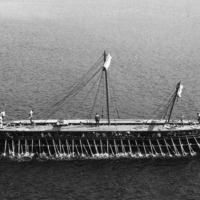 According to Homer, the kingdom was ruled by Agamemnon. 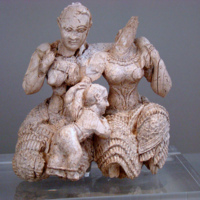 In Greek myth, the city was founded by Perseus and Danae. The city sits on a hill. 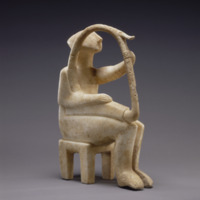 Figure seated in a chair with a harp resting on the right knee. His head is tilted upward; left arm is raised as if playing the harp, and right arm rests on base of harp as if steadying the instrument.